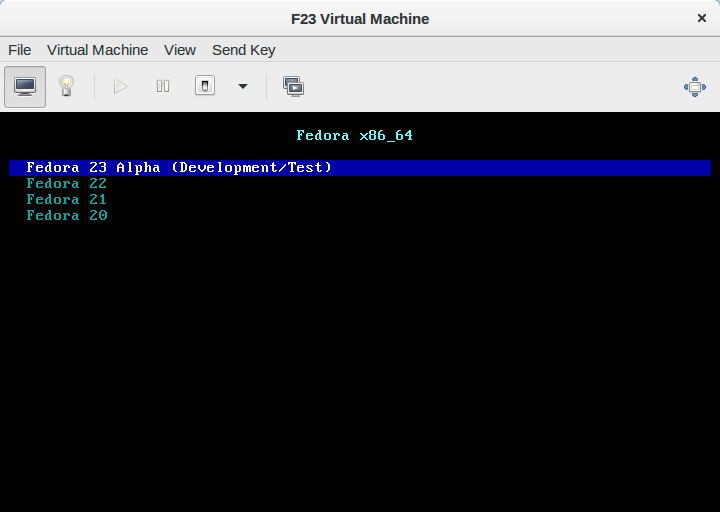 Fedora 23’s Alpha release was announced earlier this month and work is underway for the beta release. The full list of dates for the Fedora 23 release is in the Fedora wiki. If you’d like to try Fedora 23 Alpha a little sooner, check out boot.rackspace.com. I added support for Fedora 23 in the menus last night. When it boots, you’ll be able to select Fedora 23’s Alpha release from the menus. The Workstation, Atomic, and Server images are available.